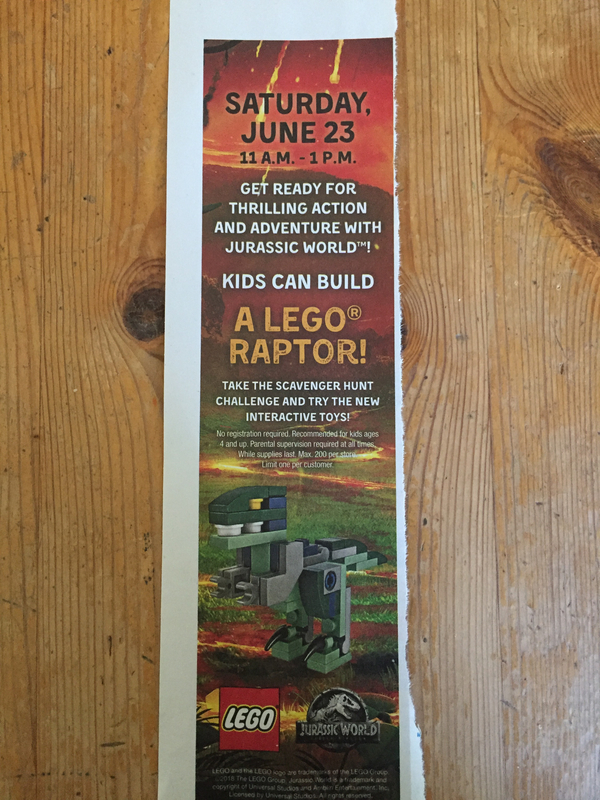 This Saturday at TRU,build a LEGO raptor. Looks like a cute one with lots of sand green and dark green baby bows. 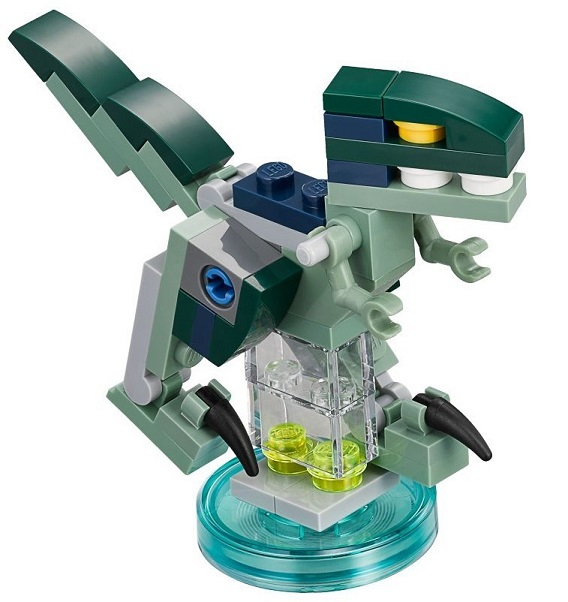 Agreed with @BrickByBrick that the Dimensions one is better. The arms on the TRU build seem too bulky. Second look reveals that the tail was also changed... for the worse too.